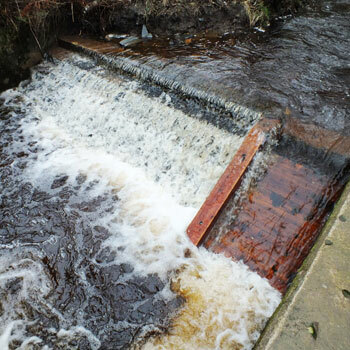 A Speyside Scotch whisky distillery has completed an environmental project to help increase fish populations in nearby river the Mackalea Burn. Speyburn Distillery has sponsored Scottish charity the Spey Foundation to build a pass in a man-made obstacle in the river to allow salmon and sea trout to swim past and reach their breeding ground beyond. The distillery, which produces Speyburn single malt whisky for International Beverage Holdings, is also donating £1 to the charity for every person that joins its free online community, Clan Speyburn. Mark Steven, brand manager for Speyburn, said: “The River Spey is at the heart of our whisky, the local community and its wildlife, so it has been wonderful to partner with a charity which shares our commitment to its conservation. The distillery is now working with the Spey Foundation to develop another fish pass on the Granty Burn next to the distillery, which is due for completion in 2015. Speyburn is the latest in a string of Scotch whisky distilleries that are investing in protecting the flora and fauna of their surrounding environment. Earlier this month Glenmorangie unveiled a new travel retail exclusive, Dornoch, the proceeds of which are donated to the Marine Conservation Society to help sustain the Dornoch Firth estuary beside the Highland Distillery in Scotland.